The Audi Q7 is Audi’s flagship SUV which debuted, not very long ago, in the year 2005. The Q7 got its first facelift in 2010 and it was about time for the second generation. 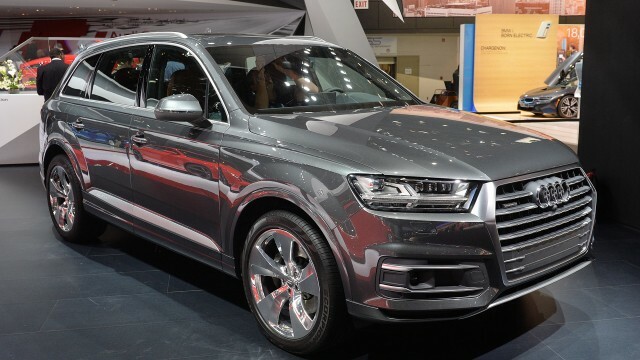 At the ongoing 2015 Detroit Auto Show, Audi unveiled the second generation of the Q7 and I think the vehicle is absolutely stunning. Over the last few years, the SUV segment has become very populated. Every other car manufacturer is bringing up its compact and full-size SUVs. Audi is primarily competing against the German rivals like Mercedes and BMW, with the Q7, Audi wanted assure that the new Q7 meets the target market’s expectations. The new Q7 inherits the current Audi design language in the form of recognizable front single frame grill as well as LED and matrix headlights. The new Q7 is all new ground up and is underpinned to the Audi/VW new MLB platform which it will share with Porsche Cayenne as well with VW Touareg. The most interesting thing about the new Q7 is the reduced curb weigh. Audi has reduced the curb weight by 324kg in the second-generation Q7 when compared to the first generation by using light-weight reinforced aluminum. 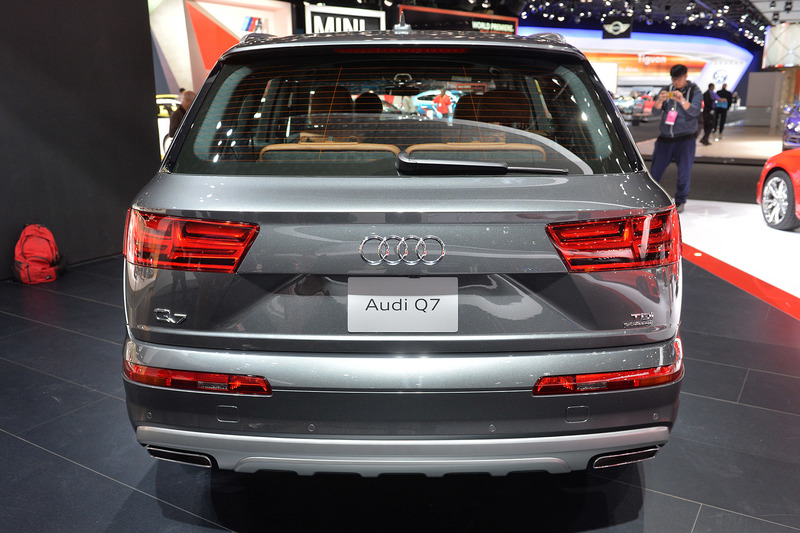 In fact, the new Q7 will be the lightest in the segment. All this weight reduction results in better mileage. 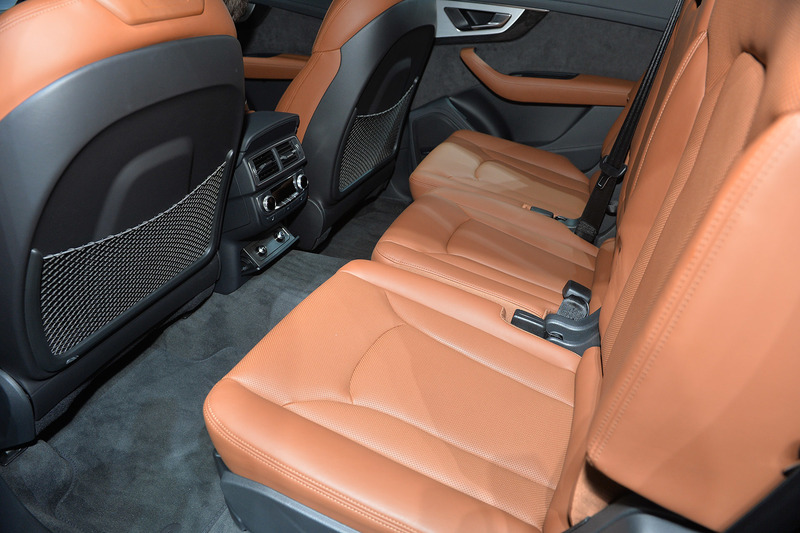 Although, the new Q7 is slightly smaller than the first-generation Q7, the interior space has been increased. The new Q7 will come with a variety of engine options like the famous 3.0-liter 272 HP TDI turbodiesel engine, and the 3.0-liter 333HP TFSI petrol engine. For the US market, Audi is also releasing Q7 with a 2.0-liter TFSI engine which produces 252 HP. All variants will have an 8-speed Tiptronic AWD transmission with Audi’s famous Quattro system. Apart from this, Audi is also releasing a Diesel-Hybrid engine for the first time with the Q7. A 3.0-liter TDI V6 engine with electric motors to produce 373 HP. This will result in 34 miles of pure electric driving without any engine in action. 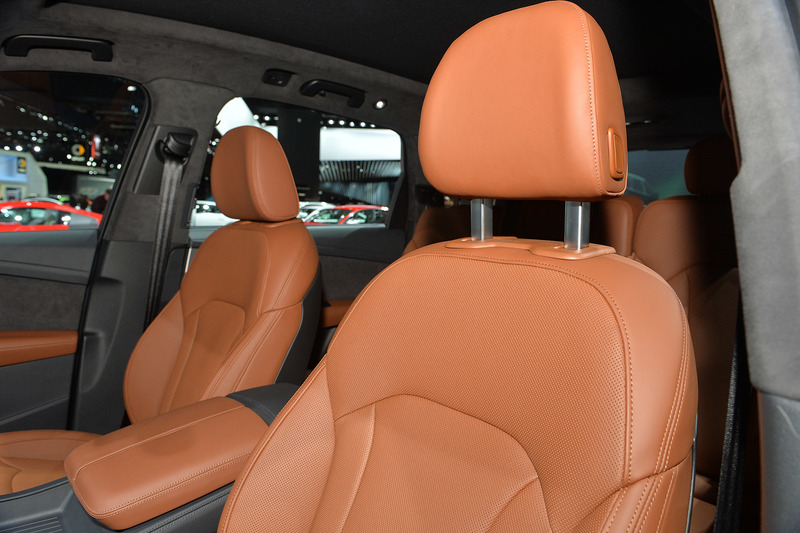 Interior of the Q7, like current Audi lineup, is full of technology and high-quality materials. The interior features a new dashboard with 12.3-inch TFT multi-display in place of the conventional cluster, a new touch-pad writing recognition MMI system, and a heads-up display. 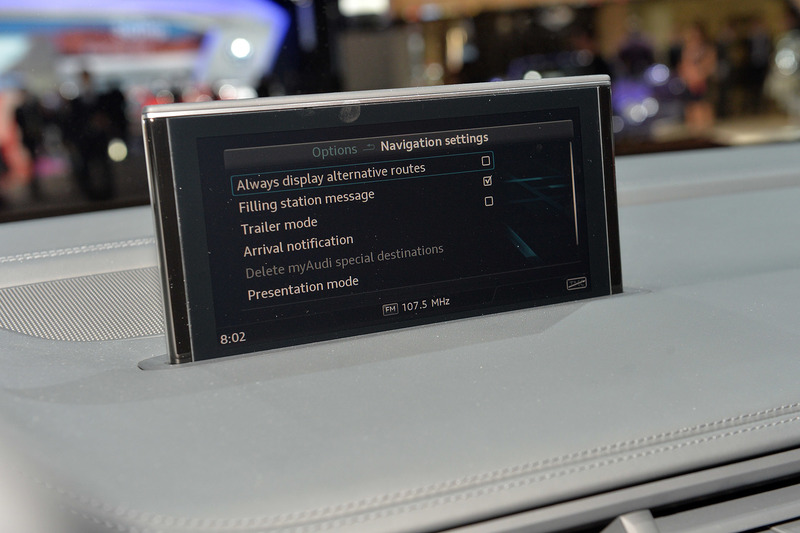 Unlike most of new Mercedes with on-dash, fix multimedia screens, Q7 will have a pop-up/down multimedia/Nav screen, similar to the one on the new A3 sedan. If you love music then there is a good news for you. 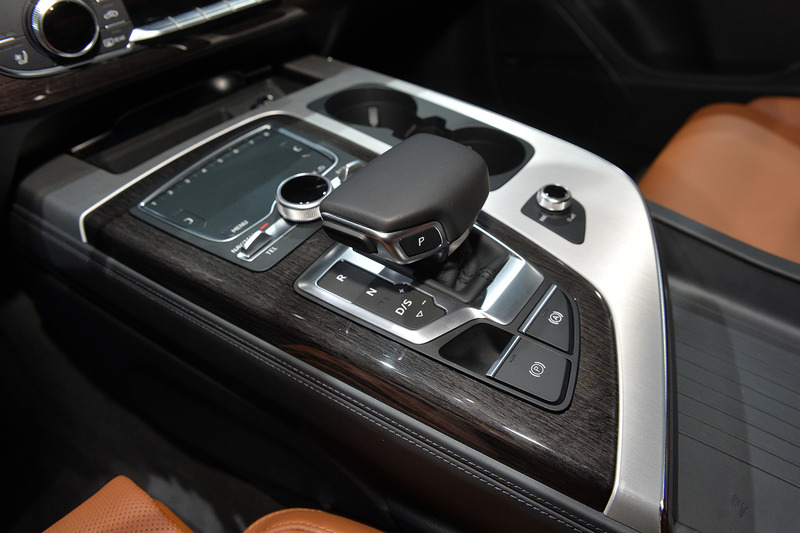 The new Q7 comes with 1920-watt Bang & Olufsen 23 speaker+subwoofer system. Smartphones can be integrated with MMI via Apple CarPlay and Android Auto. The Q7 will come with a bunch of safety features including the new adaptive radar cruise control with traffic jam assist, which can fully drive the vehicle safely in stop & go traffic. 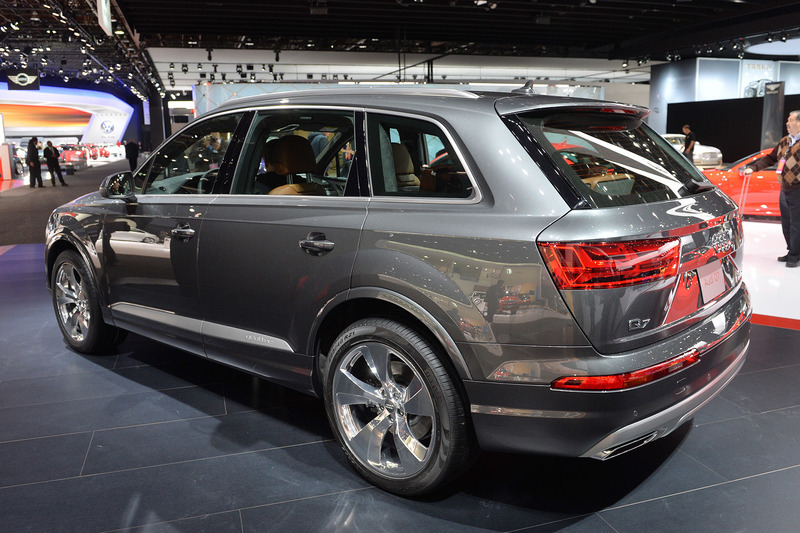 The new Q7 will be available by the end of summer 2015, starting from Europe. Price tag of base Q7 starts at USD 76,000.